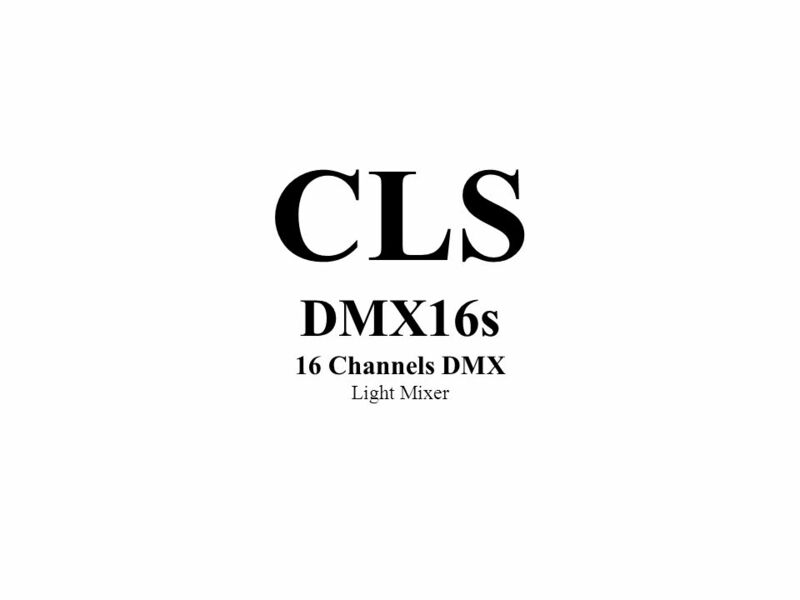 Introduce: CLS DMX16s 16 Channels DMX Light Mixer. 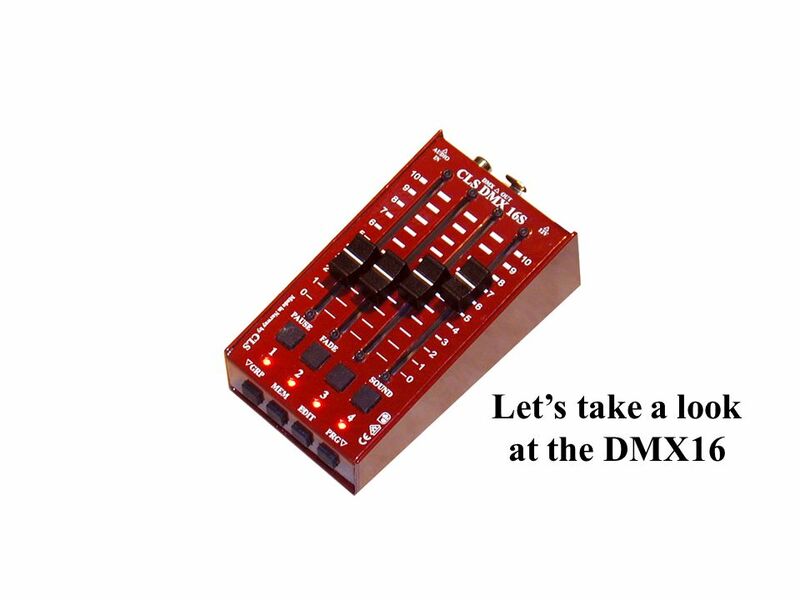 6 First an explanation about the capacity of the DMX16 mixer. 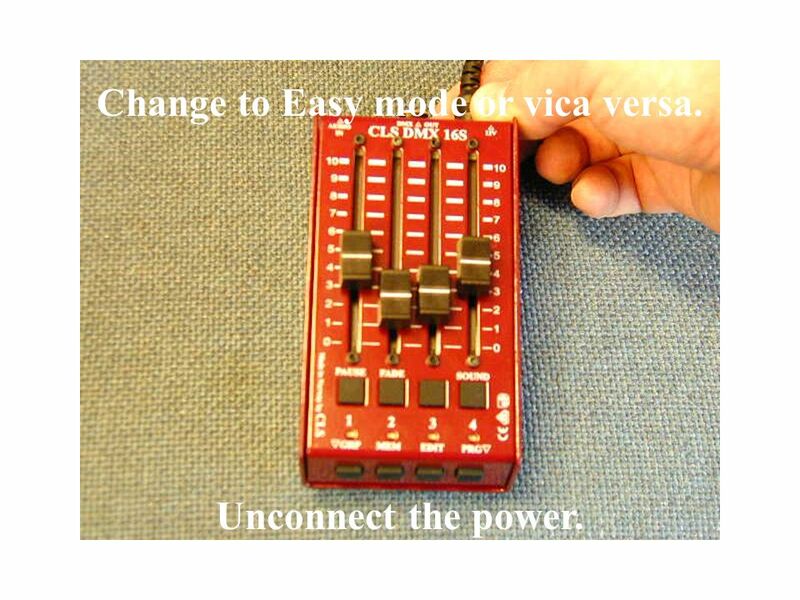 As you kan see it can control 16 channels. 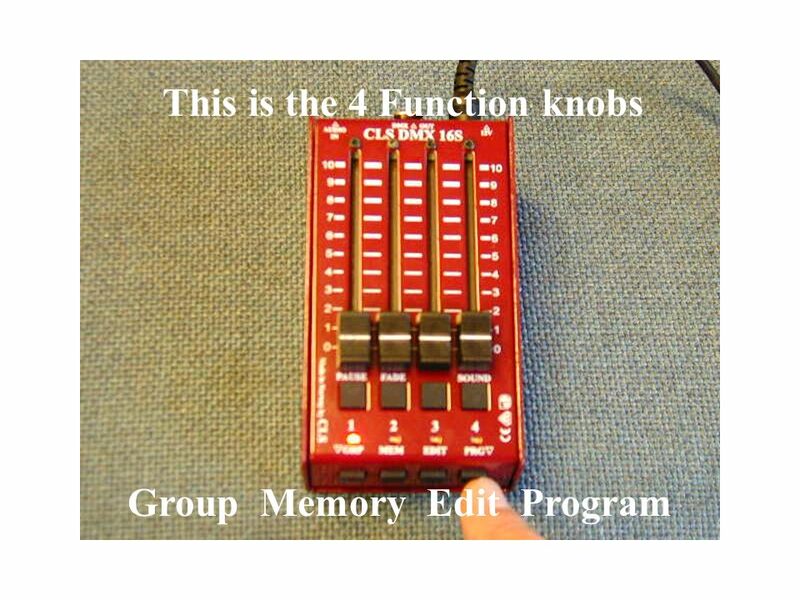 It is 4 groups of faders. 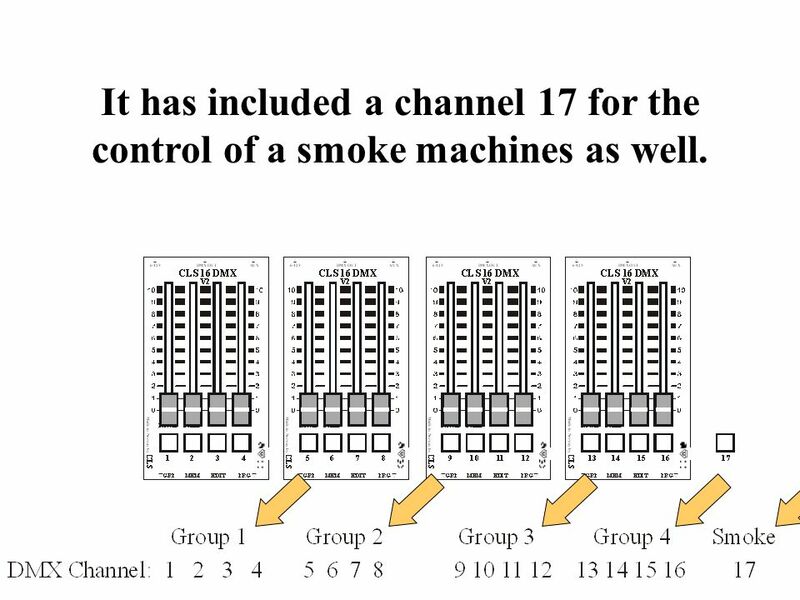 Group 1 controls DMX channels 1-4.Group 2 controls DMX channels 5-8.Group 3 controls DMX channels 9-12.Group 4 controls DMX channels 13-16.It has included a channel 17 for the control of a smoke machines as well. 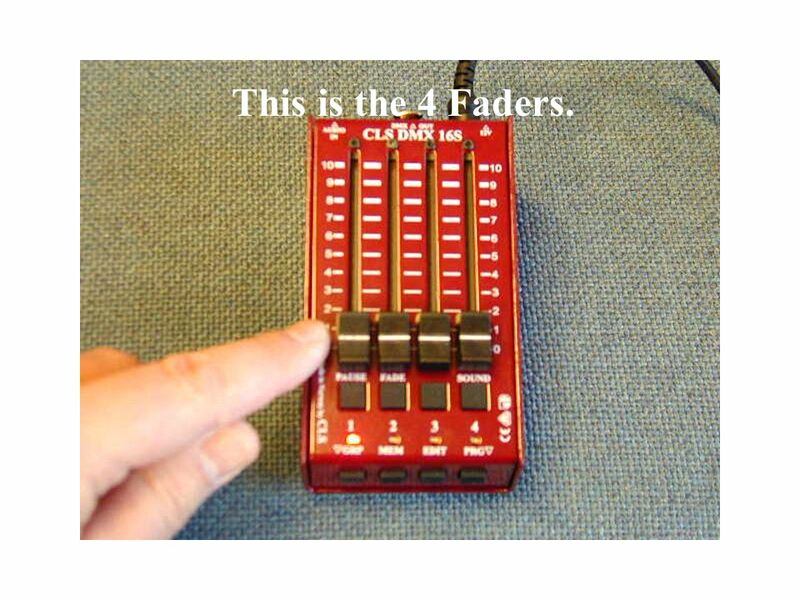 8 This is the 4 Faders. 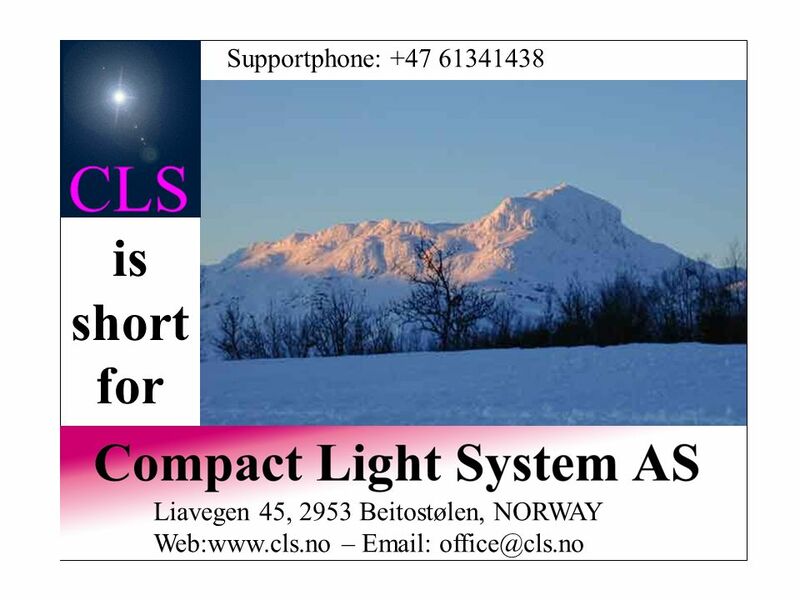 11 The first you see when you connect the power is a light in the first led. 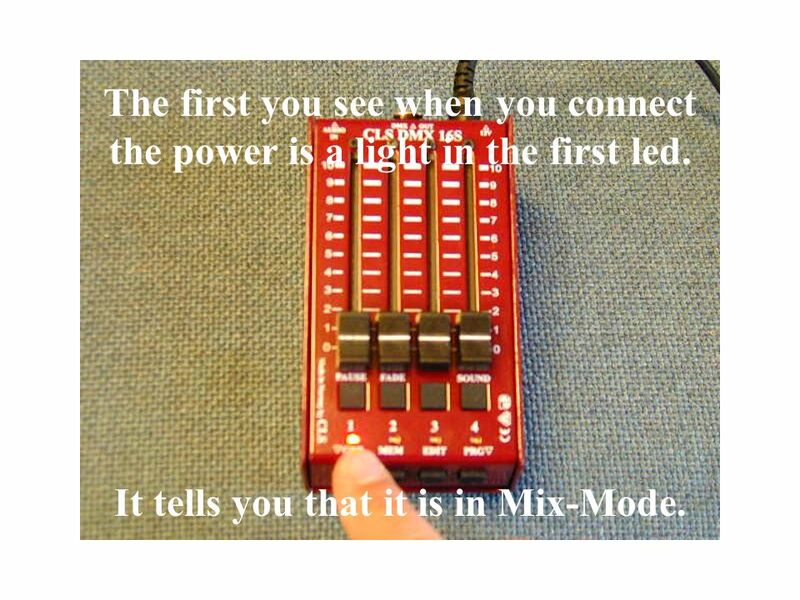 It tells you that it is in Mix-Mode. 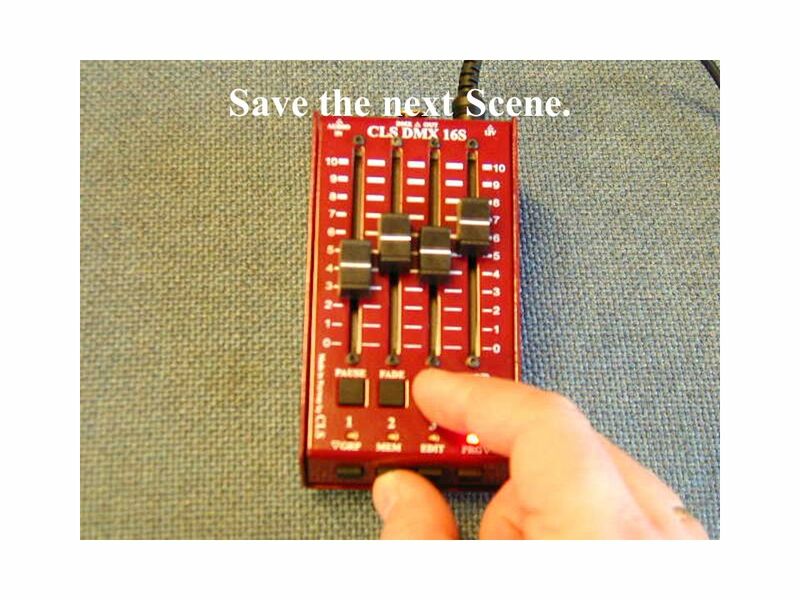 12 Mix-Mode It is for Mixing and Saving Scenes. 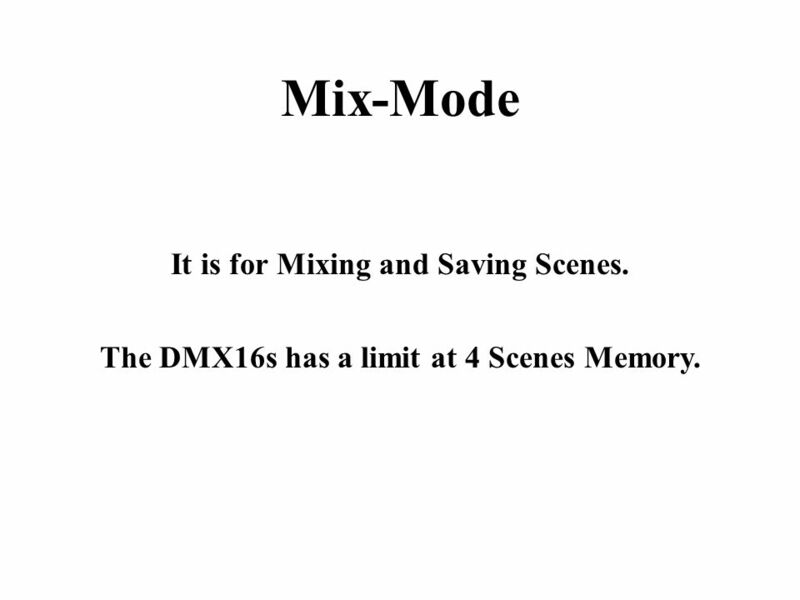 The DMX16s has a limit at 4 Scenes Memory. 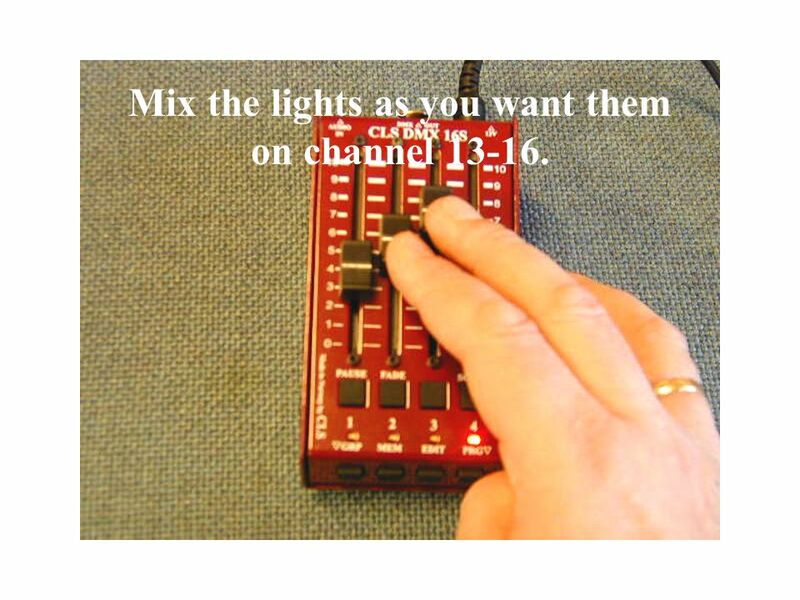 13 Mix the lights as you want them on channel 1-4. 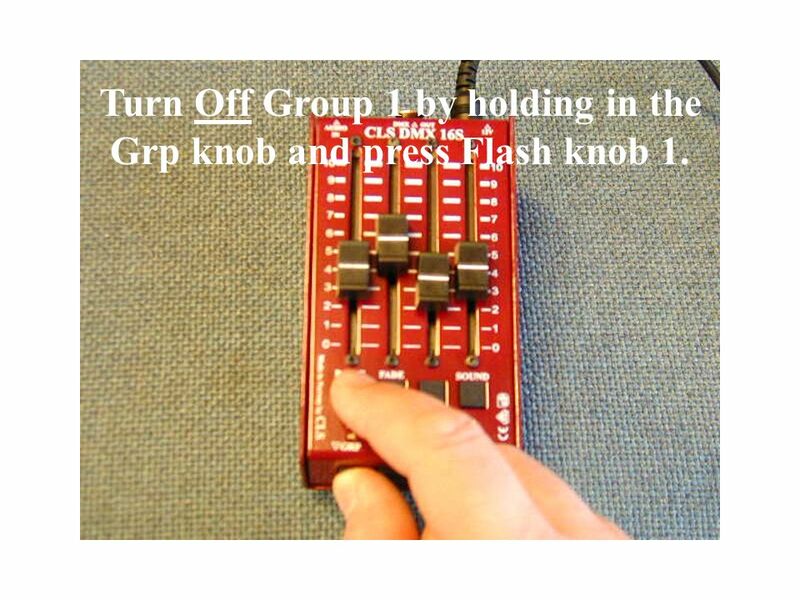 14 Turn Off Group 1 by holding in the Grp knob and press Flash knob 1. 15 Turn On Group 2 by holding in the Grp knob and press Flash knob 2. 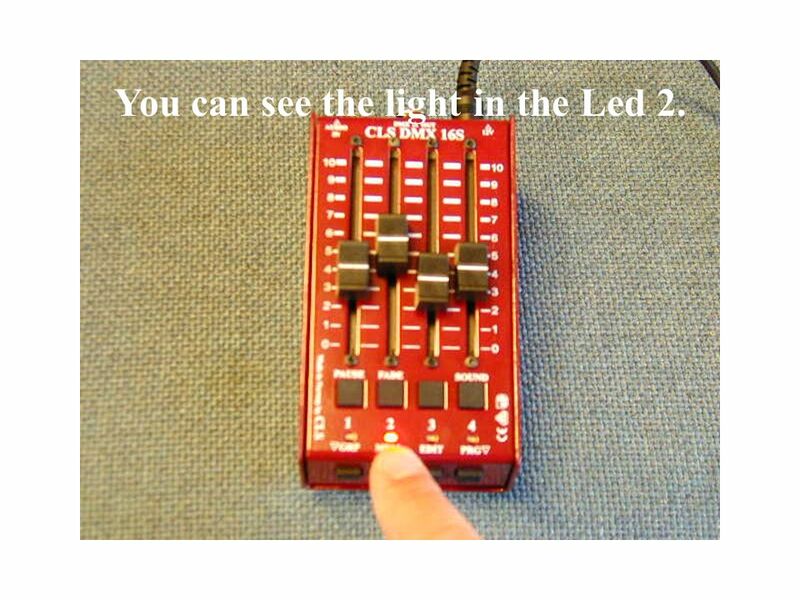 16 You can see the light in the Led 2. 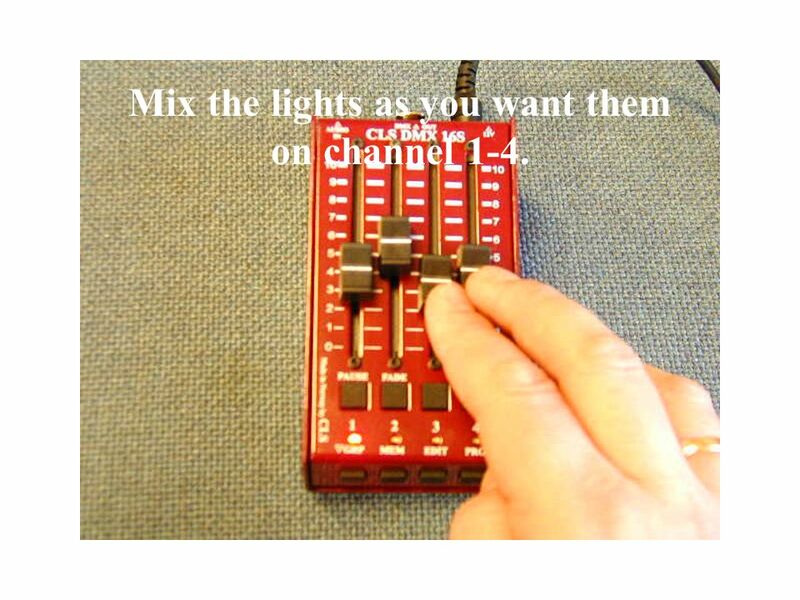 17 Mix the lights as you want them on channel 5-8. 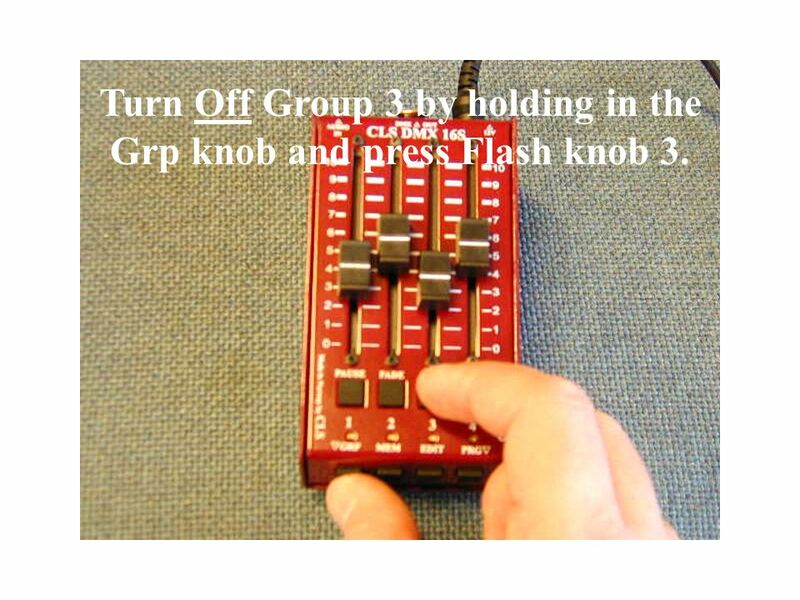 18 Turn Off Group 2 by holding in the Grp knob and press Flash knob 2. 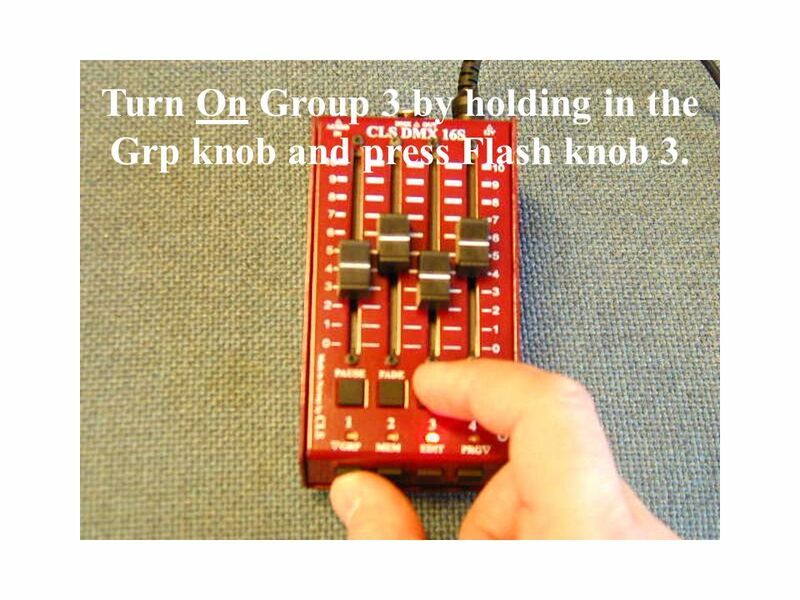 19 Turn On Group 3 by holding in the Grp knob and press Flash knob 3. 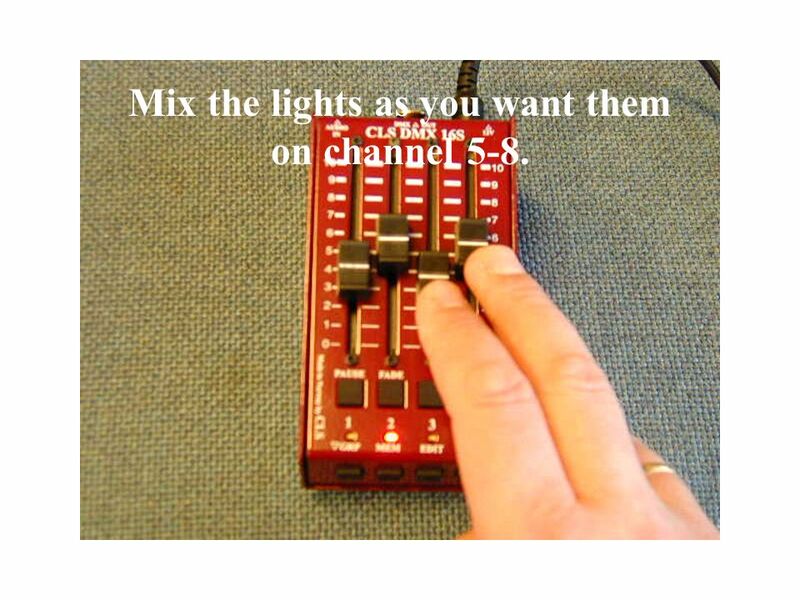 20 Mix the lights as you want them on channel 9-12. 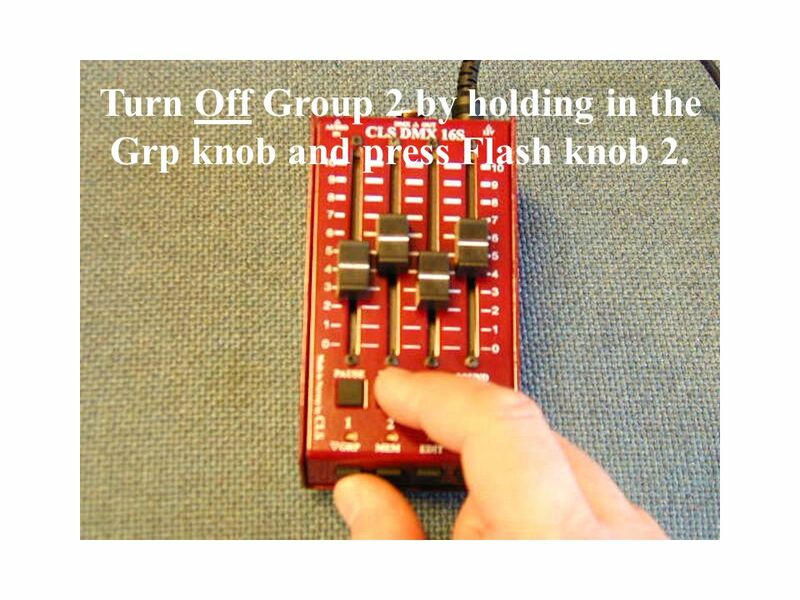 21 Turn Off Group 3 by holding in the Grp knob and press Flash knob 3. 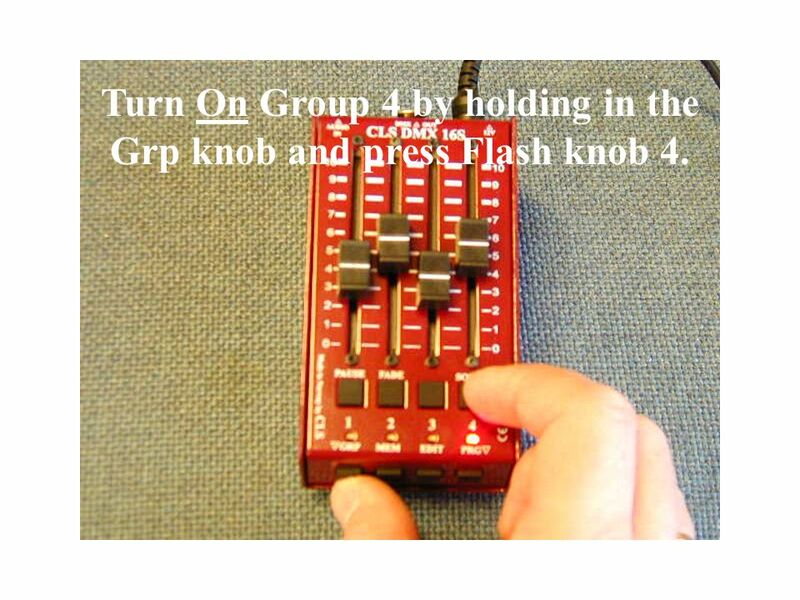 22 Turn On Group 4 by holding in the Grp knob and press Flash knob 4. 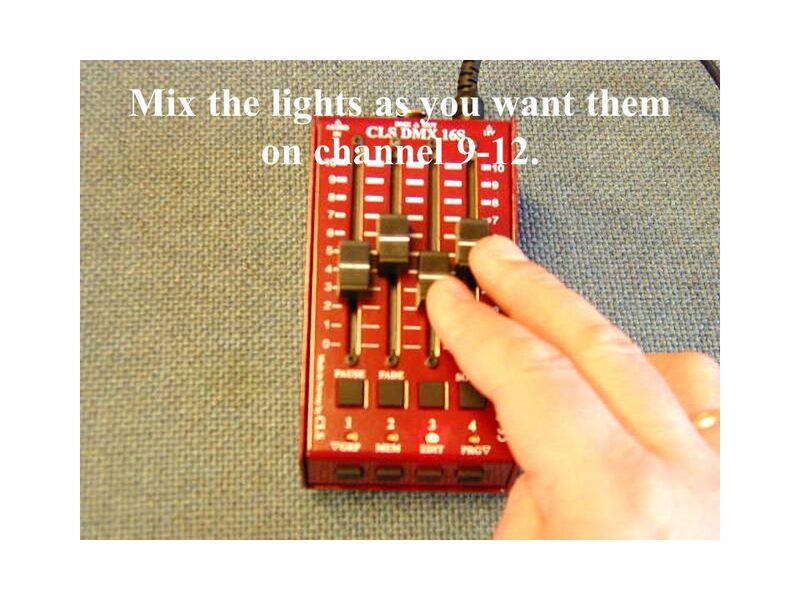 23 Mix the lights as you want them on channel 13-16. 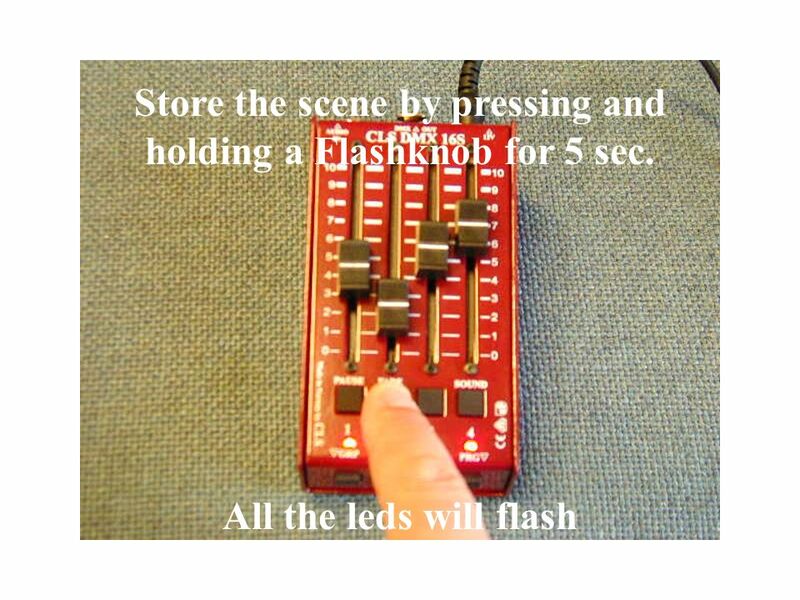 25 …and press a Flash knob. 26 Mix the lights as you want them in the next Scene. 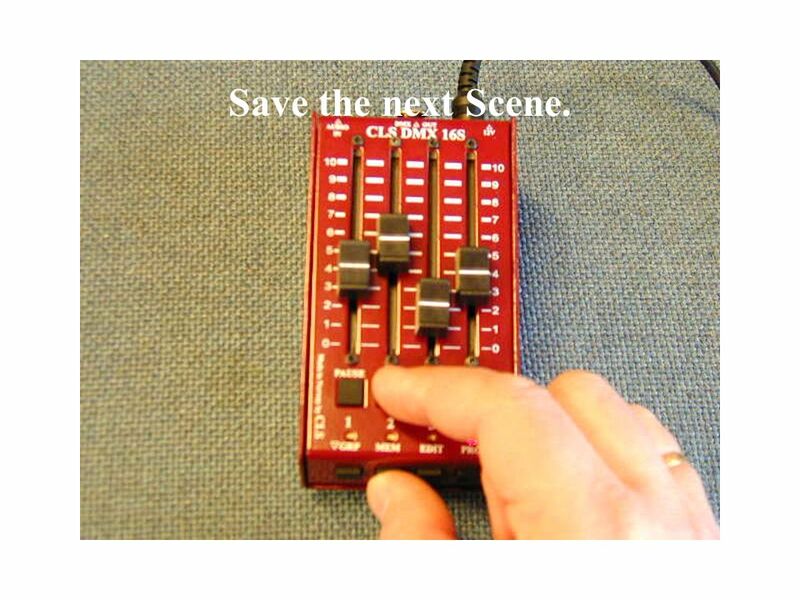 27 Save the next Scene. 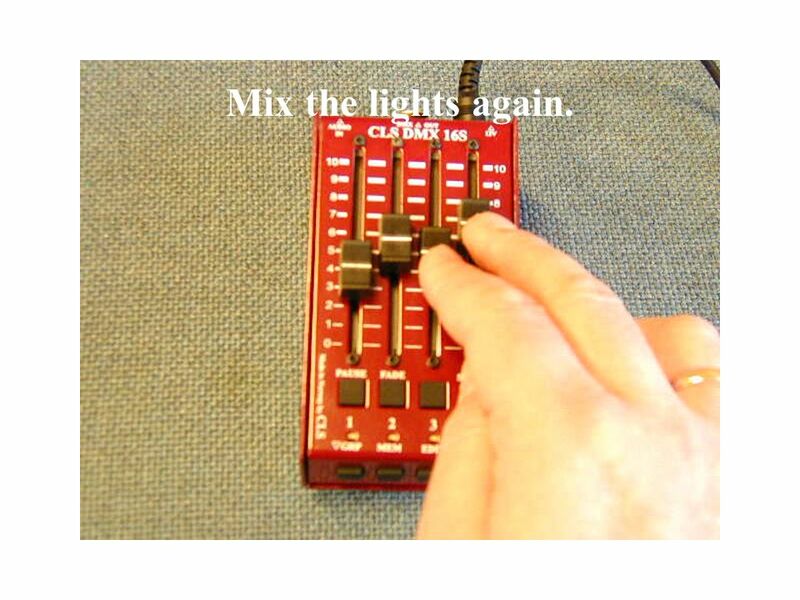 28 Mix the lights again. 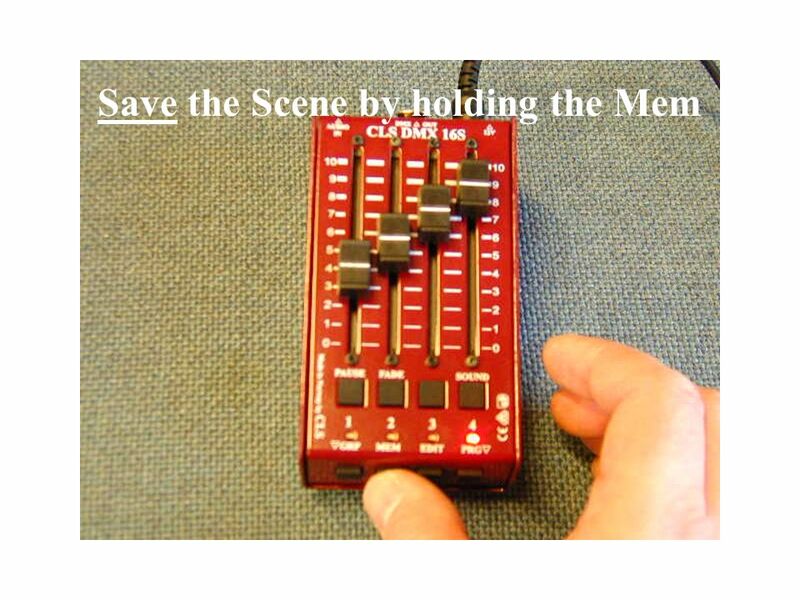 29 Save the next Scene. 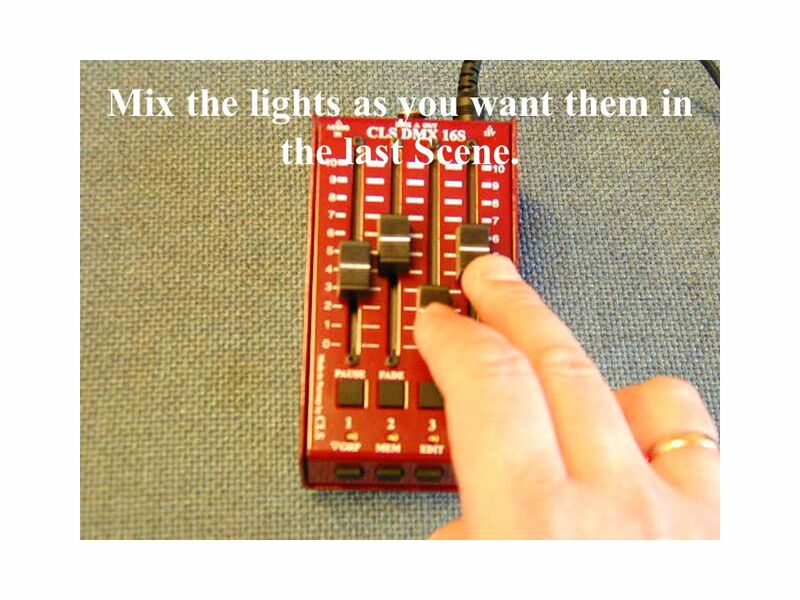 30 Mix the lights as you want them in the last Scene. 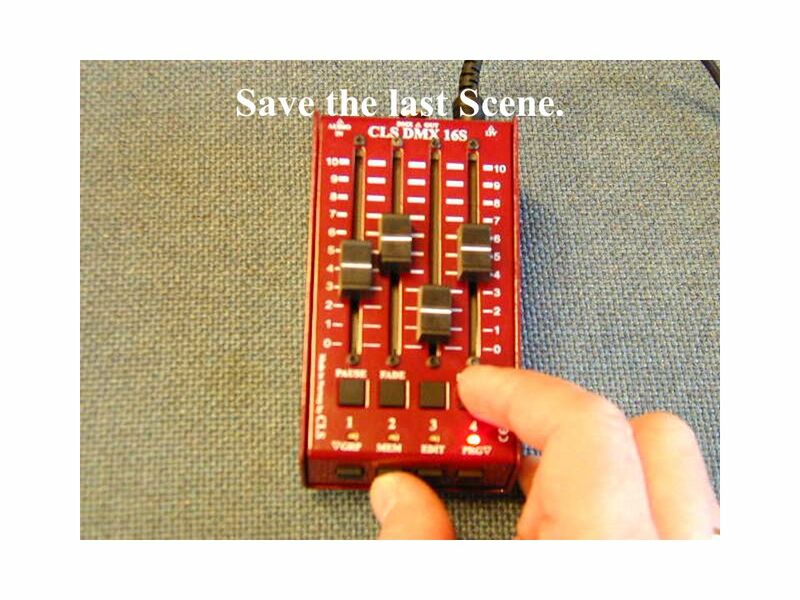 31 Save the last Scene. 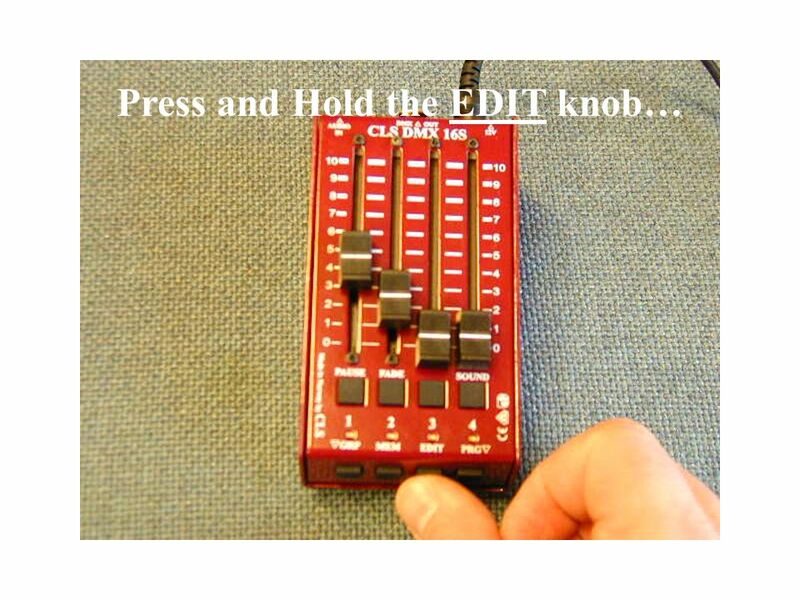 32 Press and Release the Prg knob. 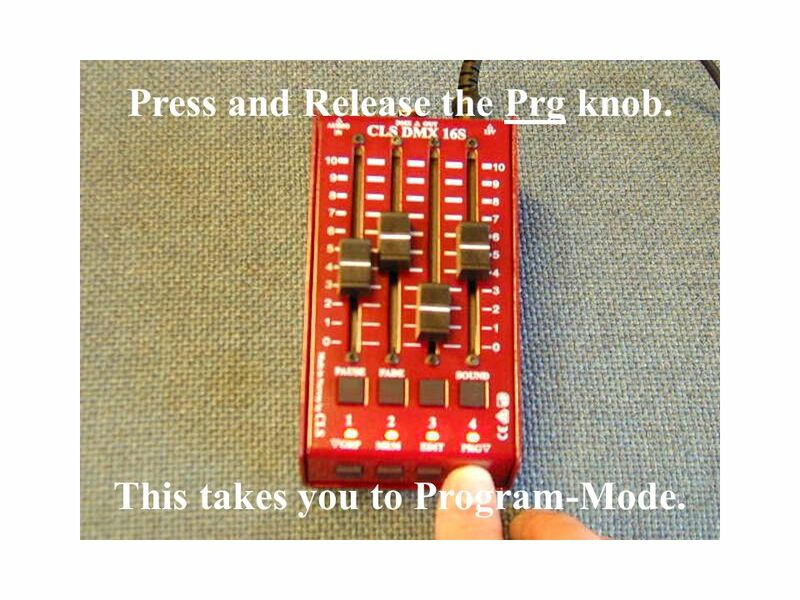 This takes you to Program-Mode. 33 Changes Scenes with Flash knobs. 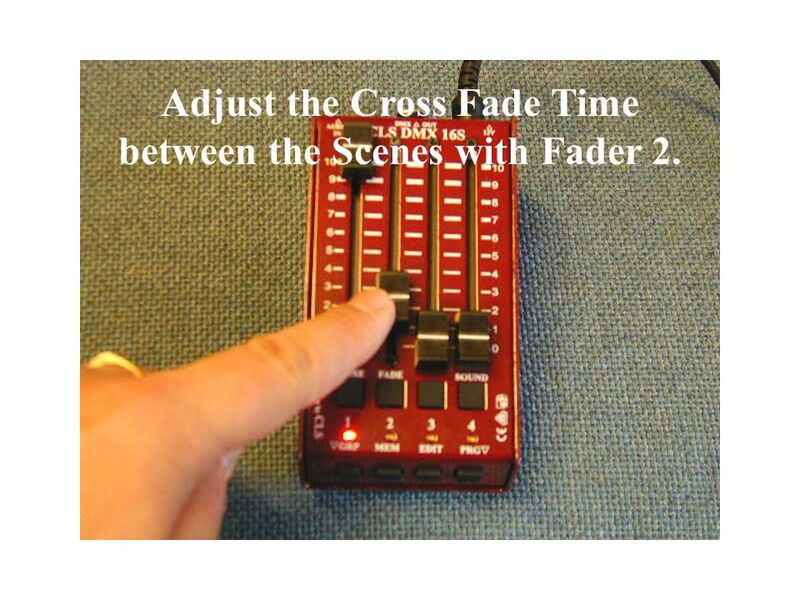 35 Adjust the Cross Fade Time between the Scenes with Fader 2. 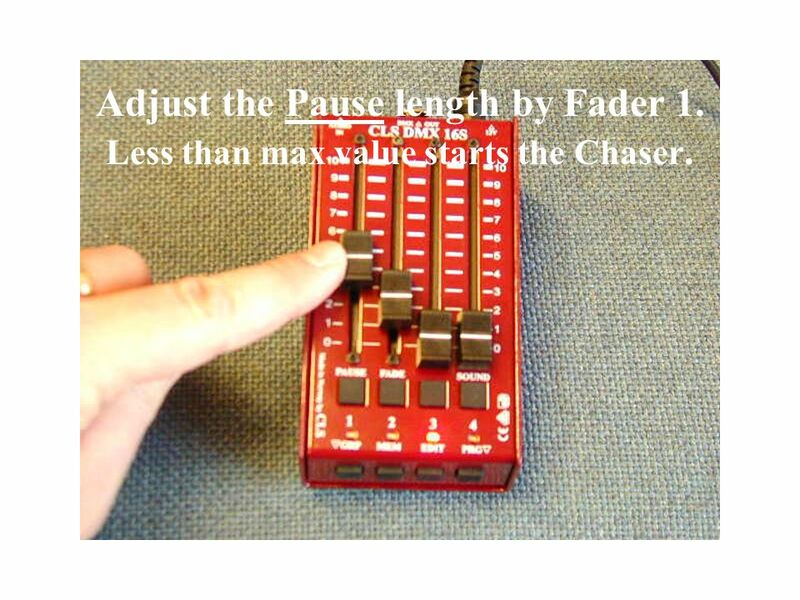 36 Adjust the Pause length by Fader 1. Less than max value starts the Chaser. 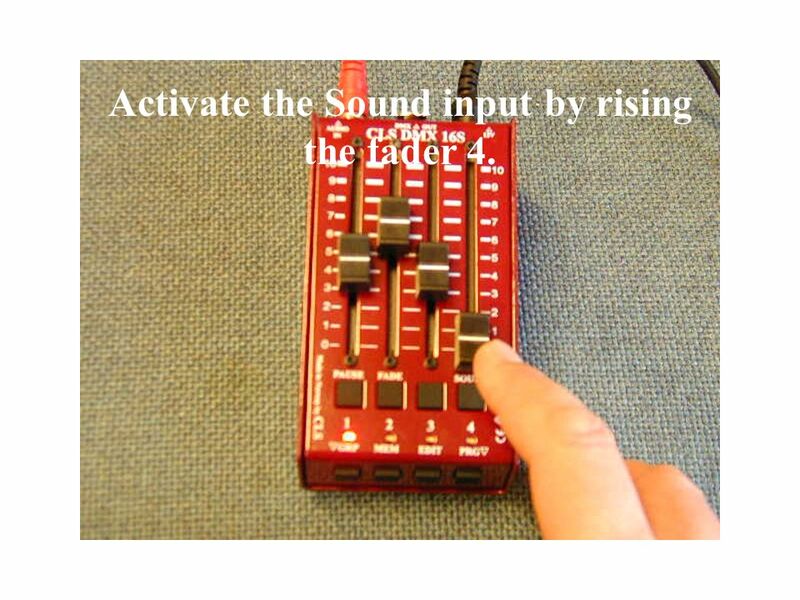 38 Activate the Sound input by rising the fader 4. 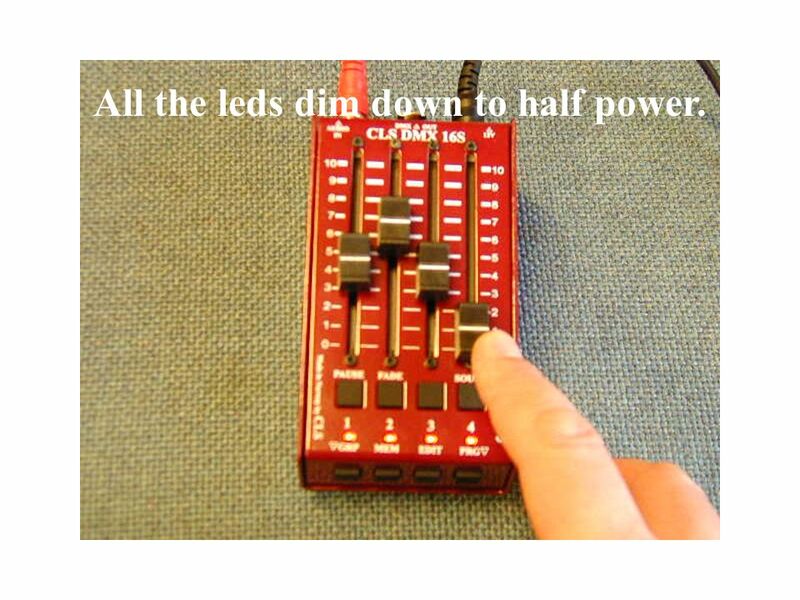 39 All the leds dim down to half power. 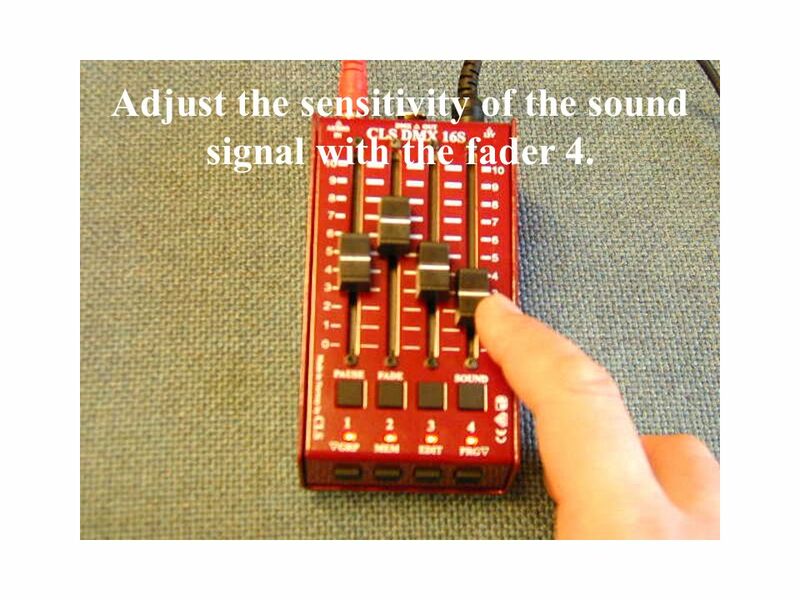 40 Adjust the sensitivity of the sound signal with the fader 4. 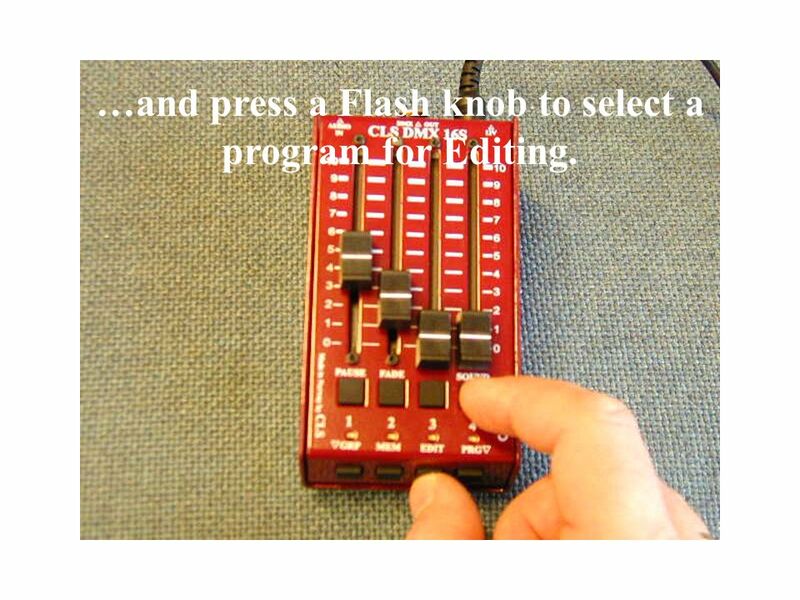 41 Press the EDIT knob in Program Mode function as Main Flash. 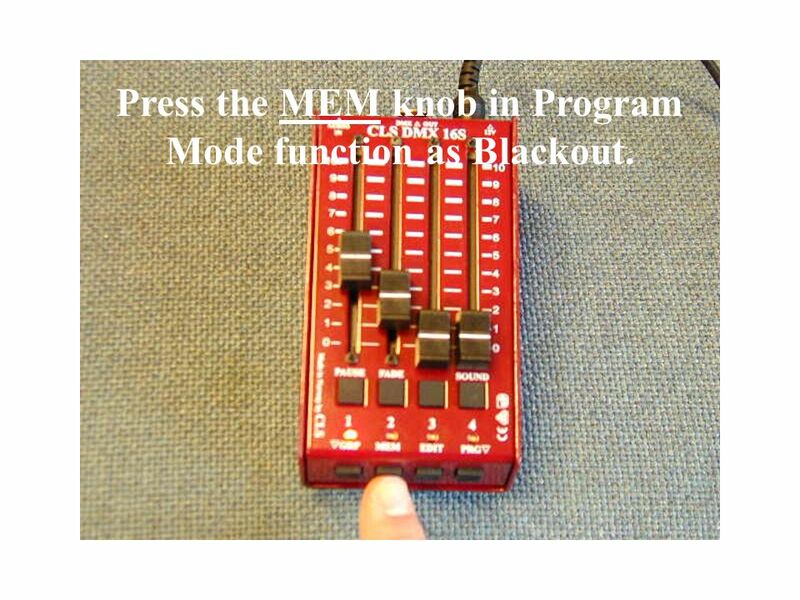 42 Press the MEM knob in Program Mode function as Blackout. 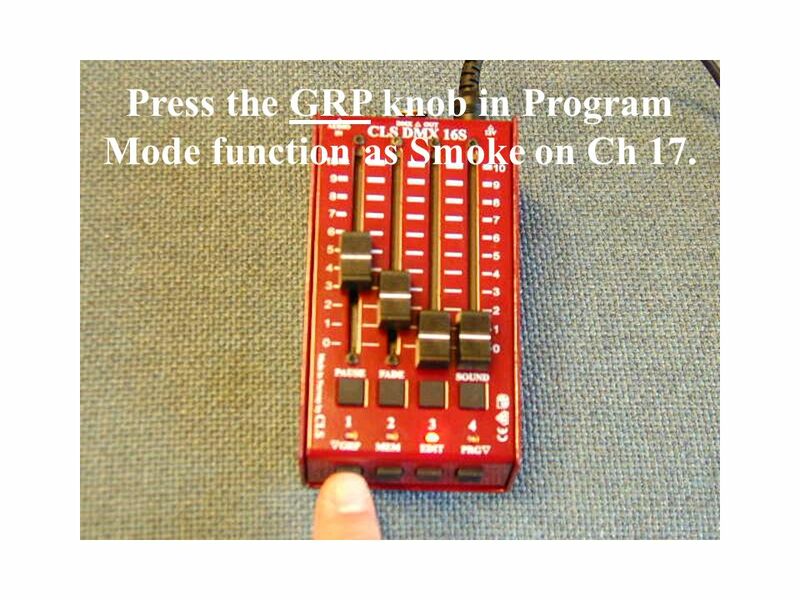 43 Press the GRP knob in Program Mode function as Smoke on Ch 17. 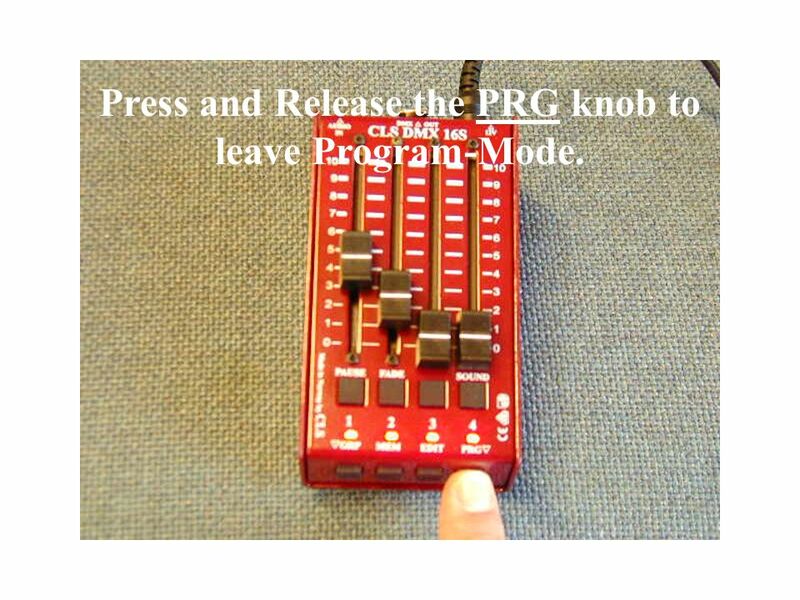 44 Press and Release the PRG knob to leave Program-Mode. 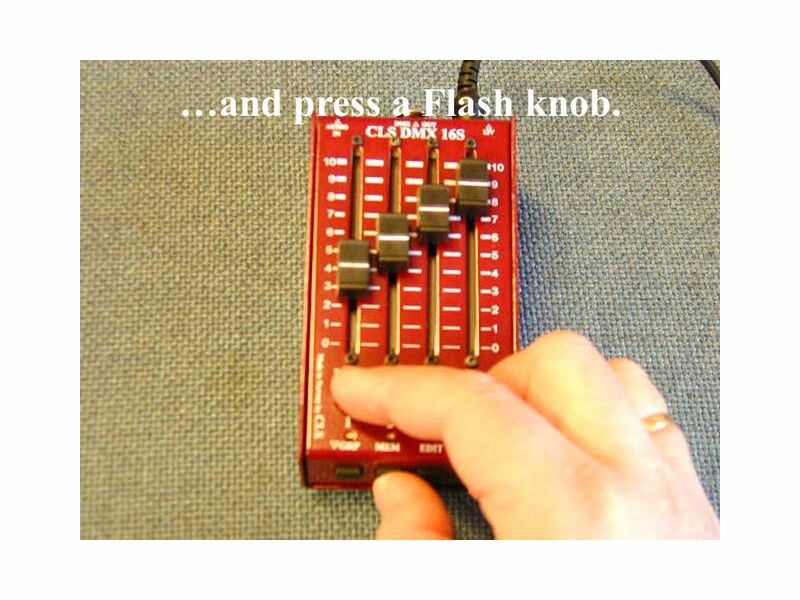 46 …and press a Flash knob to select a program for Editing. 47 Do the Editing of the Saved Scene..
49 Change to Easy mode or vica versa. Unconnect the power. 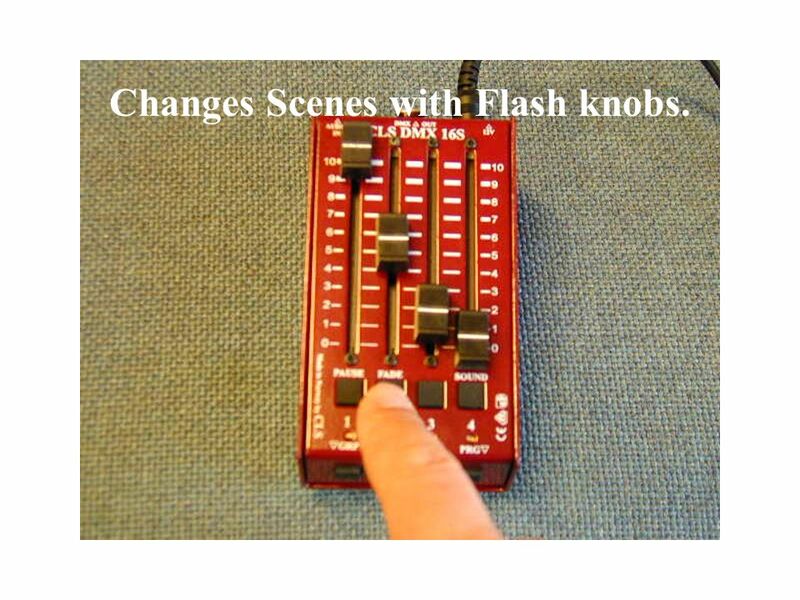 50 Press and hold Flashknob 1 and Functionknob 4. Connect the power. 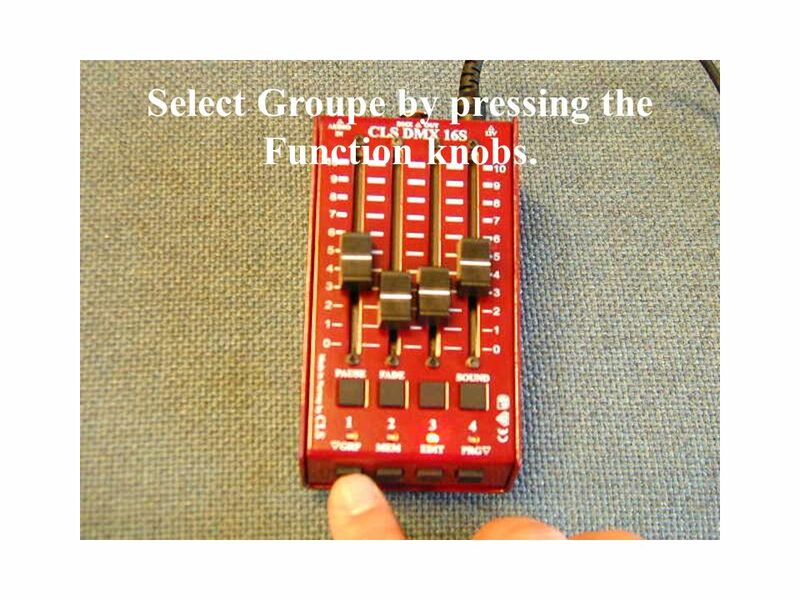 52 Select Groupe by pressing the Function knobs. 53 Mix the lights the way you want. 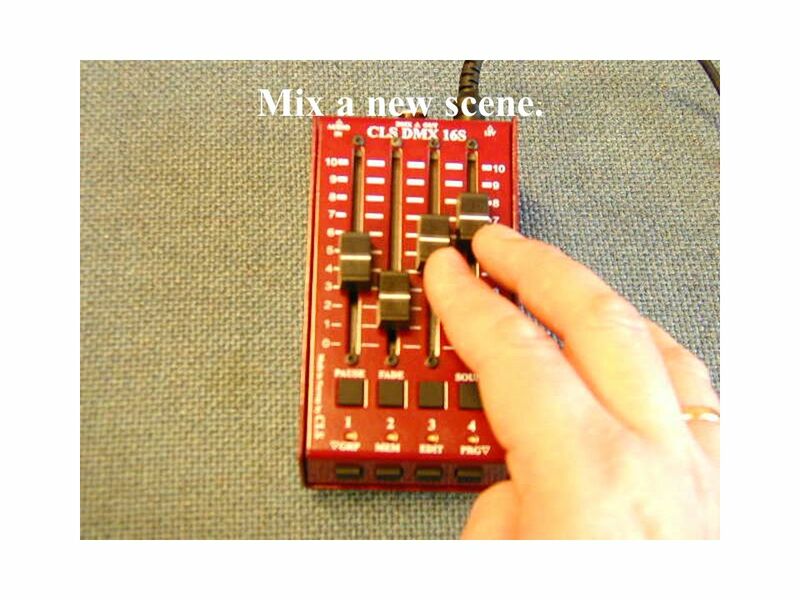 55 Mix a new scene. 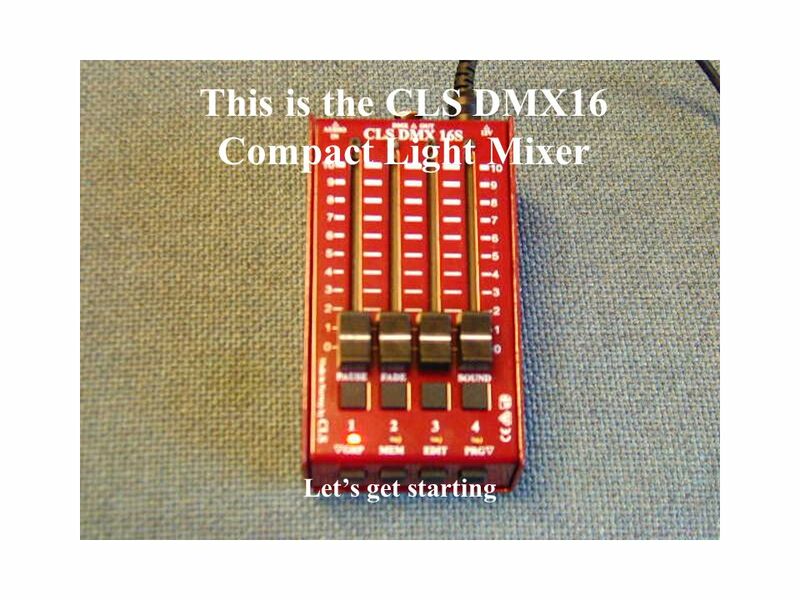 Download ppt "Introduce: CLS DMX16s 16 Channels DMX Light Mixer." 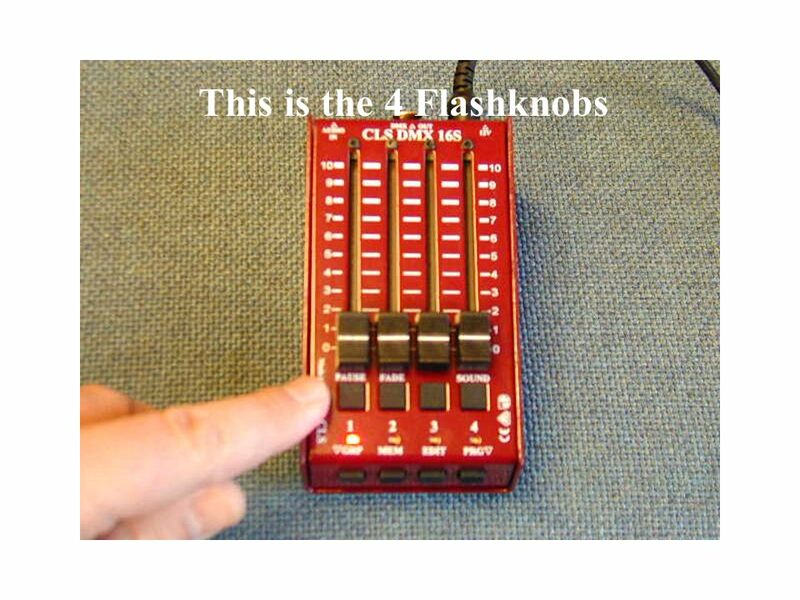 Log In with RF LCD Clickers Channel 65. 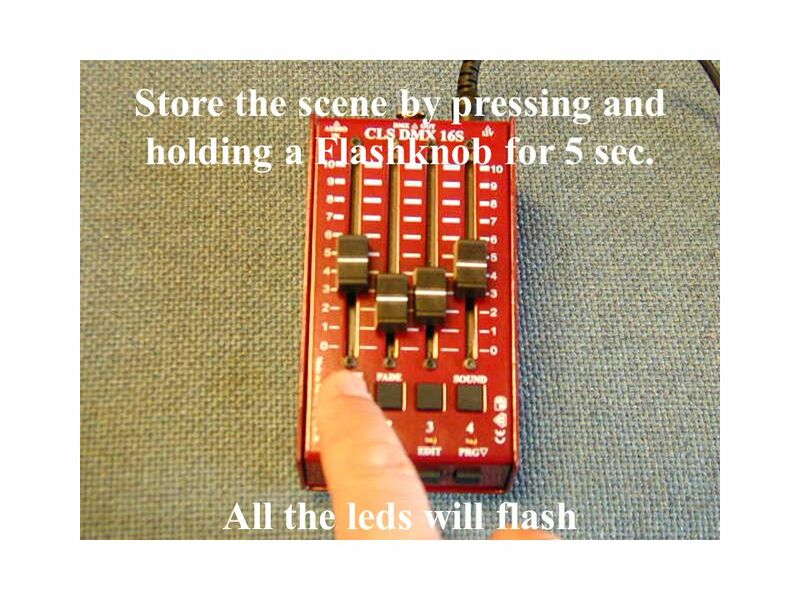 Log In with your Clicker This is what the clicker looks like Here are the steps: 1.Click on CH button 2.The light. Adobe AuditionProject 7 guide © 2012 Adobe Systems IncorporatedHow to apply Adobe Audition sound effects 1 Adobe Audition is an audio application designed. QS6 Basics. 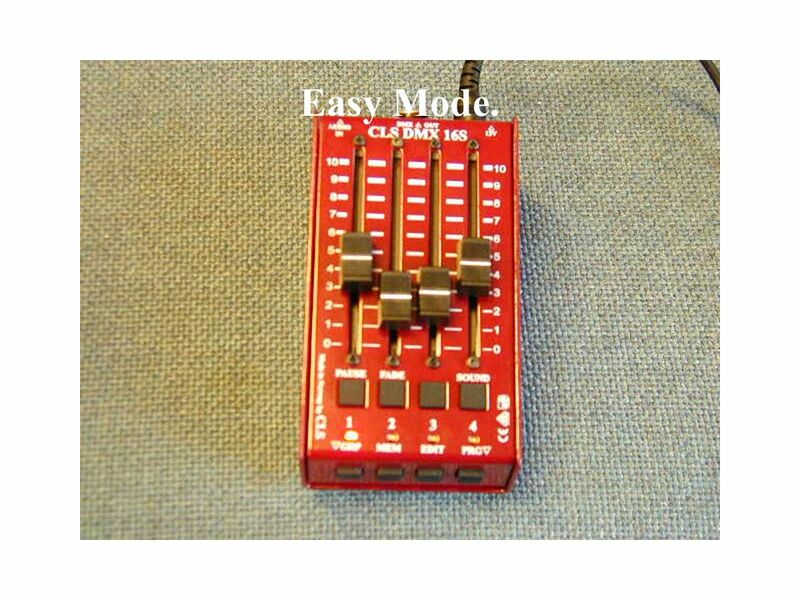 Type : Sample playback synthesizer keyboard Keys: 61 velocity and aftertouch sensitive, synth action. 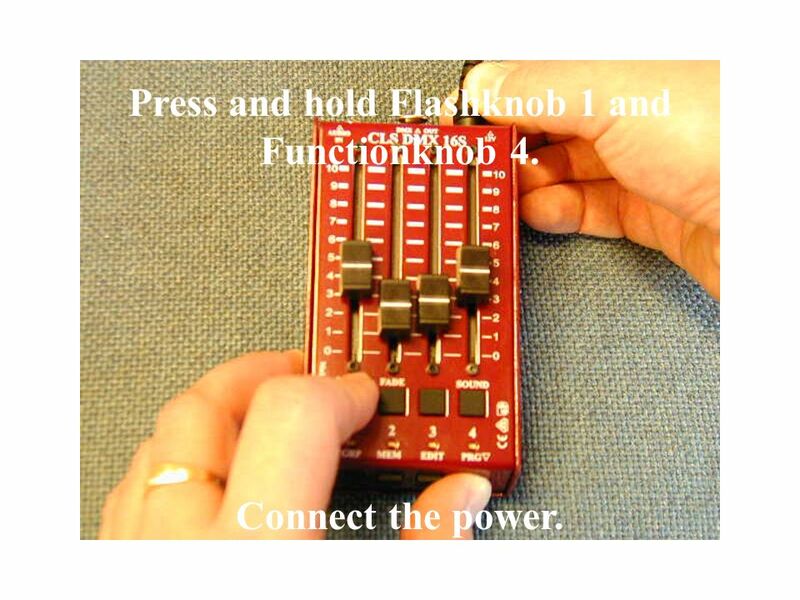 Polyphony : 64 voices MIDI Channels. What is it? 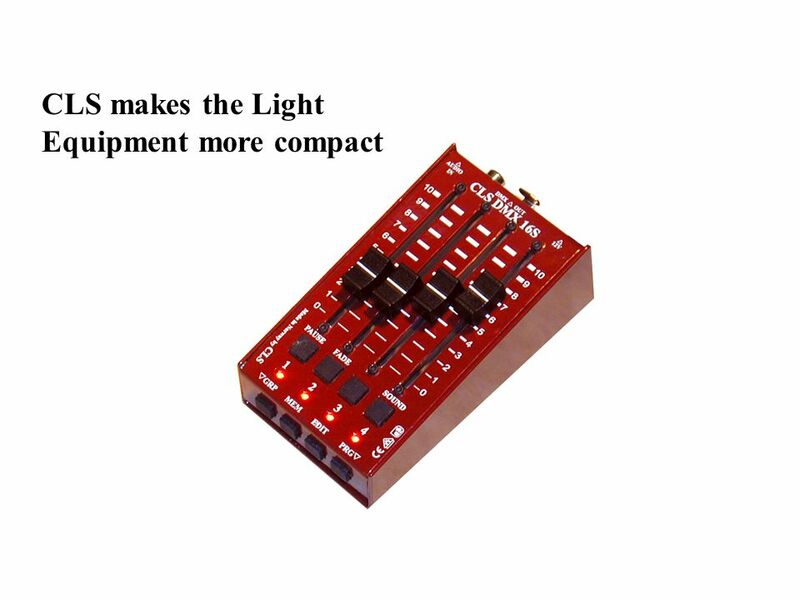 New Small Format Lighting Console Designed to properly control LED Fixtures Designed specifically with LED fixtures in mind but works just. MP3 Files for Tape Groups Cassette Tapes ● Limited capacity ● Bulky ● Hard to position ● Difficult to rewind ● Difficult to organize ● Must turn tape over. Quick starting Manual. 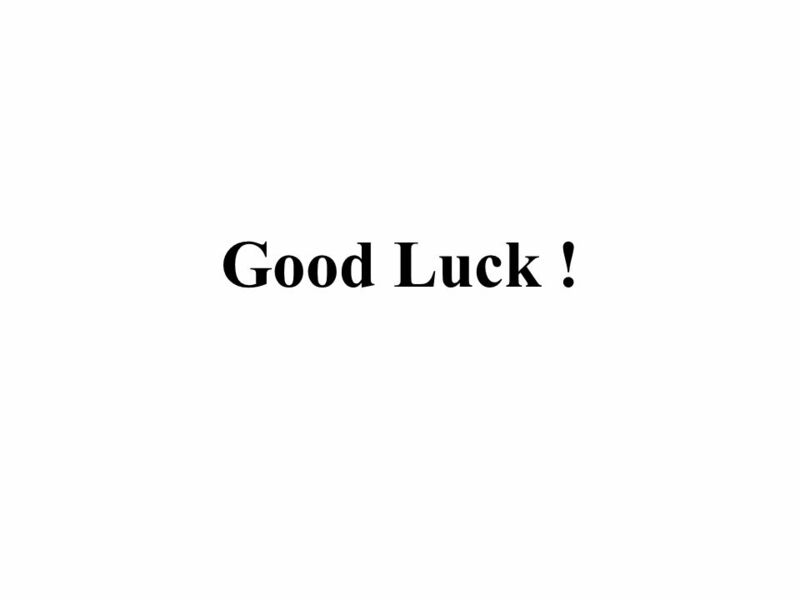 Just watch and follow the instructions ! 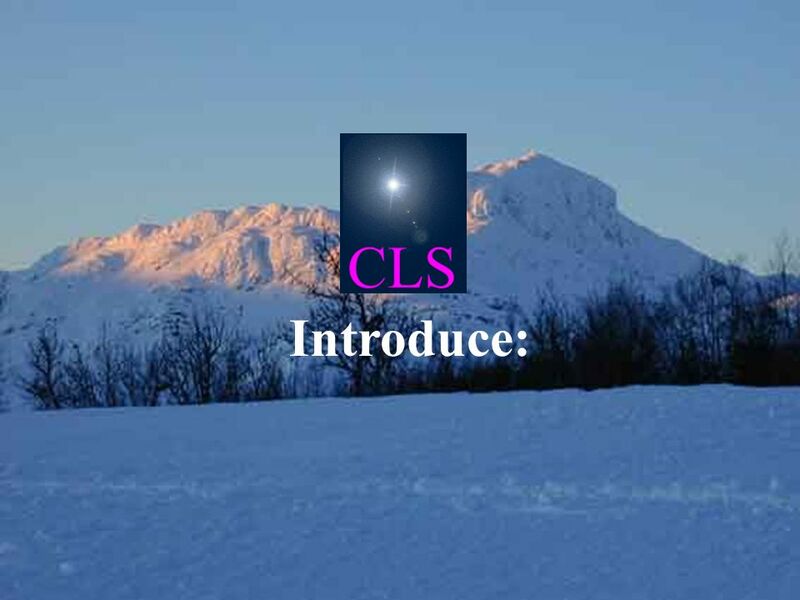 With little effort, you will be on your way to creating a personalized program for any. „Sales & Sound“ Meeting Cannes 2004 Digital Mixer D-901 New Module Line Up. Linking A quick overview of how to configure PulseWorx UPB devices to control each other. TLA. Replacing The Battery On the Back of the pager press in this button while moving the door away from the pager, then lift up. On the Back of the pager. 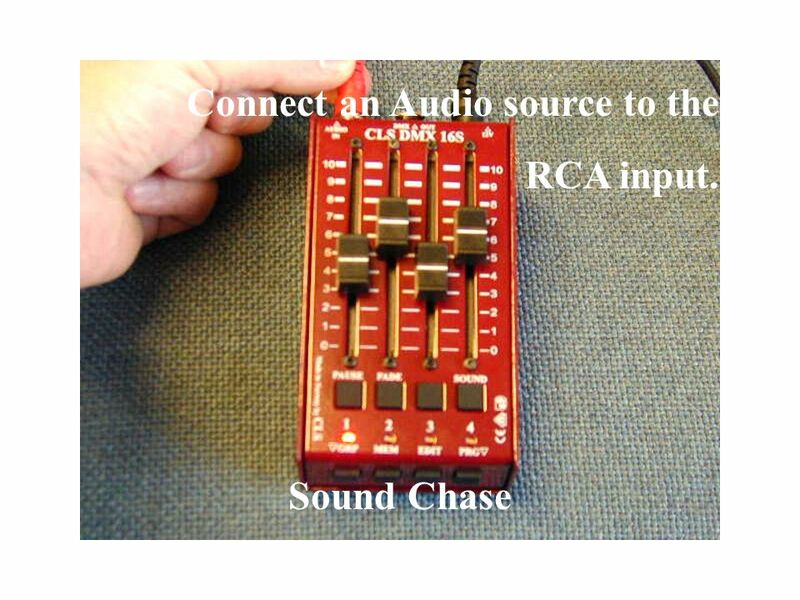 IR Control Materials taken from a variety of sources including IR Remote for the Boe-Bot by Andy Lindsay. MH 201, 203, 205 Classroom Technology University of Dayton Information Technology Classroom Support. Control Panel in Lecture Theatre Learning Environment Services. 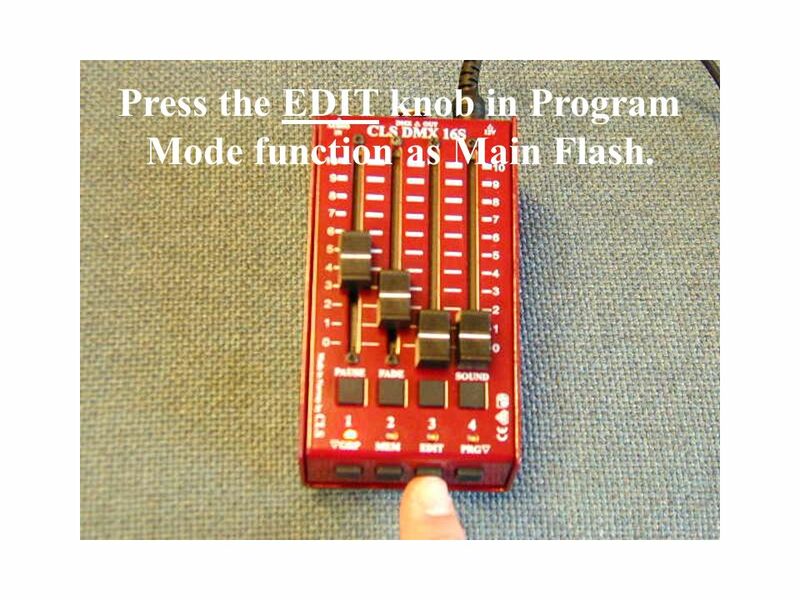 Crown DSi Series Control Click the Crown Logo at the top of any the screen to return to this Menu Interactive Main Menu Interactive Front Panel Display.